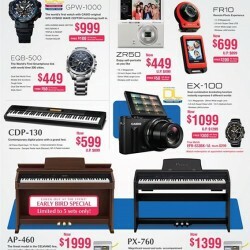 If you have been thinking of getting a keyboard or digital piano, here's the perfect warehouse sale to go! 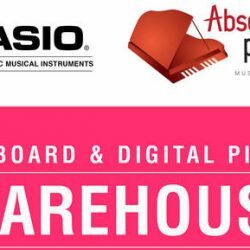 Absolute Piano is having a warehouse sale on Casio keyboards and digital pianos with up to 80% off! Head down this weekend to get one! 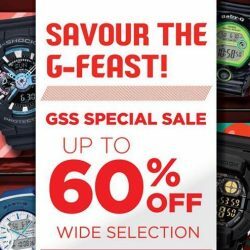 Till 30 Jun 2018 CASIO G-SHOCK: Enjoy Up to 60% OFF Wide Range of G-SHOCK Watches! Say what? Drop by G-Factory stores from now till 30 June to enjoy up to 60% off a wide range of selection! 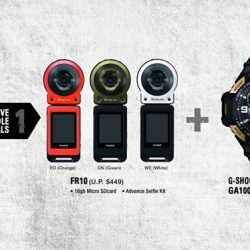 P.S: Some models included are GA-100B, GA-800SC, GA-100GBX and Lover 18 Series. Revel in the GOLD CLASS experience with Casio this Valentine's season! Simply purchase any Couple or Lovers' set and receive a pair of Gold Class Golden Village movie tickets (worth $78) FOR FREE! Promotion is valid at all G-Factory stores from 1st February onwards, while stocks last. 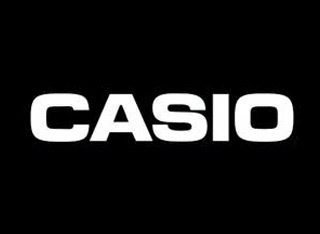 Celebrate the unveiling of the World's first Casio Concept Store at Tampines Mall, #01-02. Enjoy special 50% discounts from 18 Jun – 10 Jul. Visit us to find out what exclusive bundle deals we have in store for you! Building a labelling lifestyle. Convenient labels dramatically boost efficiency! 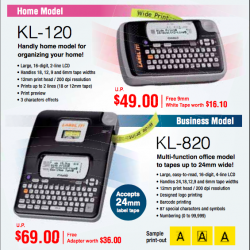 Homenoffice Singapore brings you Casio Label Makers Special. 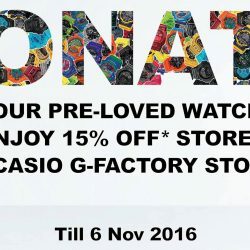 Casio Crazy Offers! Don’t miss them! Hurry down to Casio’s booth at the IT SHOW for exclusive freebies and deals! They are located at Suntec Convention Hall, Level 4, Booth 8117 from 19-22 March, 12-9pm. The IT Show is here again! Find them at the Suntec Convention Hall, Level 4 Booth 8117 for more deals and freebies! 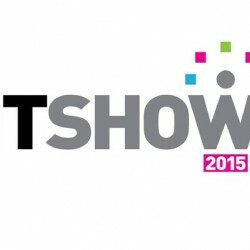 The IT Show 2015 will be from the 19th to 22nd of March, 11AM to 9PM daily. Enjoy for more deals and promotions. 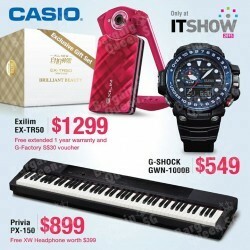 Look out for Casio's roadshow at NEX during this festive season! They are located at NEX Serangoon Level 1 Atrium from the 11th to 17th of February (11:30am - 9:30pm). See you there! 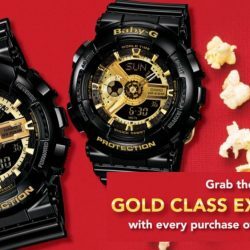 From now till the end of Feb '15, simply purchase 2 watches at any of their G-SHOCK/G-Factory outlets islandwide and receive a special collectable display case and a pair of movie passes for FREE!